Natural stone products or other alternatives? Whether building new or updating, home buyers and commercial building owners quickly come to the fork in the road when considering materials for fireplaces, foundations, patios, stairways, walls and walkways. Affordability: When assessing the cost of natural stone, consider durability, lifespan, uniqueness and quality. These characteristics make it clear that natural stone is often more economical in the long run. Environmentally friendly: Choosing natural stone can benefit the planet. Because stone does not require energy for production, pollution is not generated in its creation. Durability: When homeowners or designers choose construction materials, they should keep in mind the ability of natural stone to withstand hail, heat, fire, rain, snow and wind. What’s more, when stone is selected for structures like fireplaces and outdoor kitchens, it’s not easily burned, scratched or stained. 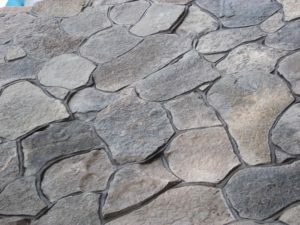 Economy: Because natural stone is nearly indestructible, you’ll forego the potential expenses of repairing scratches and stains that often occur with other materials. Color: You’ll chose from bluestone, flagstone, granite, limestone, marble, sandstone, slate and travertine, among many other natural stone options! And given the wide selection of types let alone the uniqueness in shades and grains from piece to piece, your design possibilities are almost endless! As a result, the natural beauty your selection should be viewed and approved before purchase and installation. Flexibility: Granite and marble slabs as well as other natural stone choices can be tailored to meet the needs of homebuilders, designers and architects. The only limit to the choice of natural stone is your imagination! Care: When properly sealed, natural stone is remarkably simple to clean and maintain. What’s more for many, the appearance of natural stone improves over time! One more key benefit to nature stone? Value. According to, “Outdoor renovation projects with the highest return on investment” posted at inman.com, an exterior improvement can add curb appeal, deliver a feature you love … and increase the value of your home. The article reports, for example, patio additions van have a return on investment or ROI of 30 to 60 percent, fire pits as much as 150 percent, and outdoor kitchen as high as 200 percent! 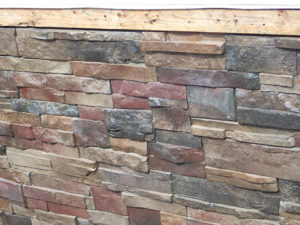 Specializing in exterior natural stone additions and repairs, Cirigliano Masonry serves home and business owners throughout the Pittsburgh area. From design to build and extending to your fulll satisfaction, rely on us for brick masonry, pointing and repair as well as indoor and outdoor fireplaces, stone masonry, stone wall repairs and more. Contact us today!